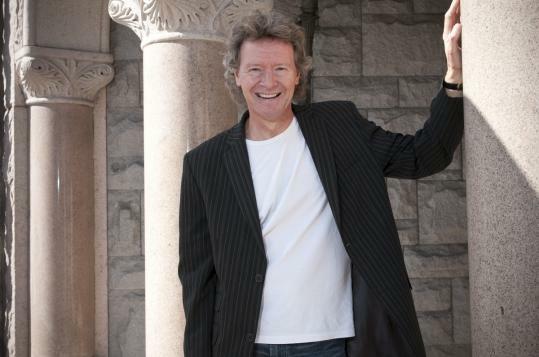 The Handel and Haydn Society has extended the contract of artistic director Harry Christophers for an additional four years. He will now serve in his post until 2016, H&H was to announce at an annual meeting last night. Most crucially for H&H, Christophers’s extension should mean a continuity of artistic leadership through the organization’s bicentennial celebrations in 2015, an event toward which H&H is already directing significant programming and marketing efforts. During Christophers’s tenure, which began in 2009, the group has returned to recording, with its second Christophers-led disc featuring Mozart’s Requiem just released on the Coro label. H&H also reports a sizable uptick in ticket revenue for the most recent fiscal year, including the highest single-ticket sales since 2001. This year’s season begins on Friday with a program directed by Christophers and featuring the gifted South African-born fortepianist Kristian Bezuidenhout, a frequent visitor to Boston, in Mozart’s Piano Concerto No. 22. Programs later this season will include Bach’s “St. Matthew Passion’’ and Mozart’s “Coronation’’ Mass. In other H&H news, as of this fall, Aisslinn Nosky begins her official appointment as concertmaster, and Guy Fishman assumes the post of principal cellist. Sonja Tengblad and Carrie Cheron are joining H&H’s vocal quartet, which is active in the group’s educational outreach program.